…where writing addicts go to get their "fix"
The building comprises twelve offices. The twelve offices compose the building. 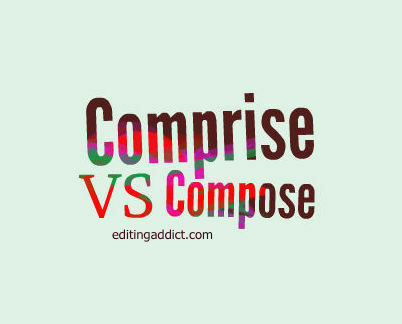 “The fundamental difference between comprise and compose has to do with the whole versus the parts of any object or concept. …comprise is a verb that means “to include or contain” or “to consist of” as in The pie comprises 8 slices. …Compose means “to be or constitute a part of element of” or “to make up or form the basis of,” as in Eight slices compose the pie. Social Skills of a Writer...? Then There's That . . .